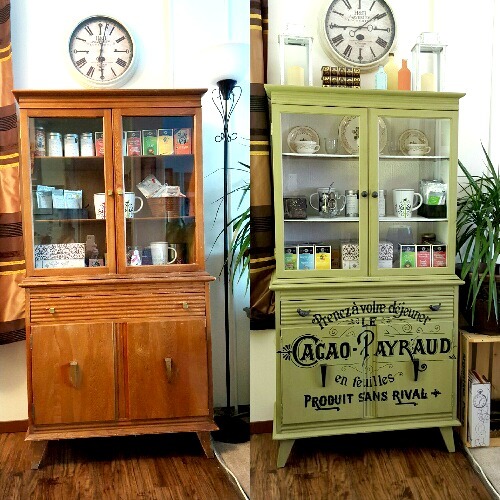 Today’s reader feature is this awesome Upcycled French Hutch, which was submitted by Kimberly. She had an old retro cabinet laying around, so she decided to give it a new life by adding a couple coats of chalk paint, then distressing it a bit with fine grit sandpaper. Next, she transferred the popular French Chocolate Graphic to the front, and used black paint to fill it in. Next, she used both natural and dark wax to protect it, and age it a bit. This before and after is just fantastic! Thank you, Kimberly, for sharing this with us today! 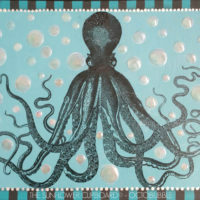 To see more of her projects, visit her Blog. To learn how to transfer images yourself, visit the Transfer Methods Page. 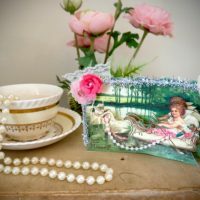 « 10 + Free Vintage Peacock Images – Fabulous! So pretty! What a challenge it must have been to get the design over the terrain of the front of the hutch. Love it!